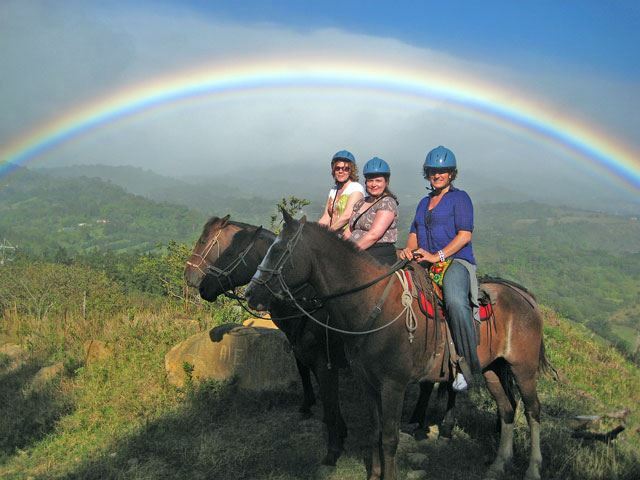 For those looking for a longer ride this horseback tour is perfect. 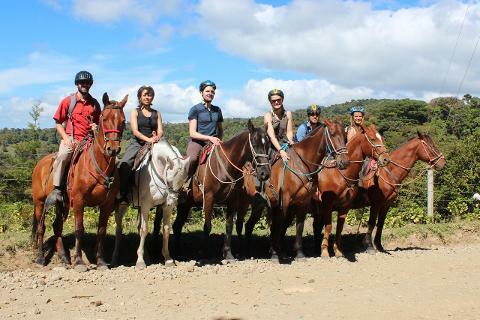 Party along the continental divide the route offers stunning views of the local countryside and farms as well as the pretty Gulf of Nicoya. 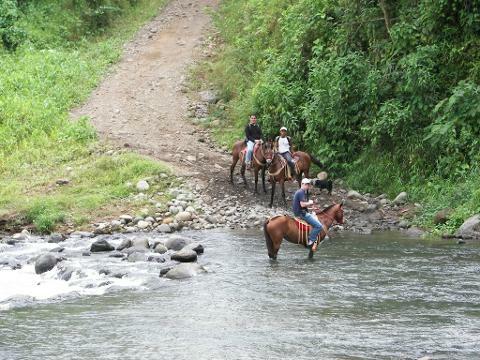 The horseback ride follows little used back roads and small tracks. The length of the tour allows us to penetrate deep into the farming community with a great opportunity to see the land use of the area, well away from the tourist areas. 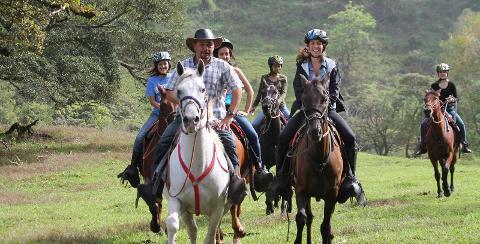 Get to know your Costa Rican cowboy and practice your Spanish as you try and spot wild life. Toucans and sloths are often seen along the ride.